Today we’re launching Reading Well for long term conditions, our new scheme providing information and support for people living with a long term health condition and their carers. 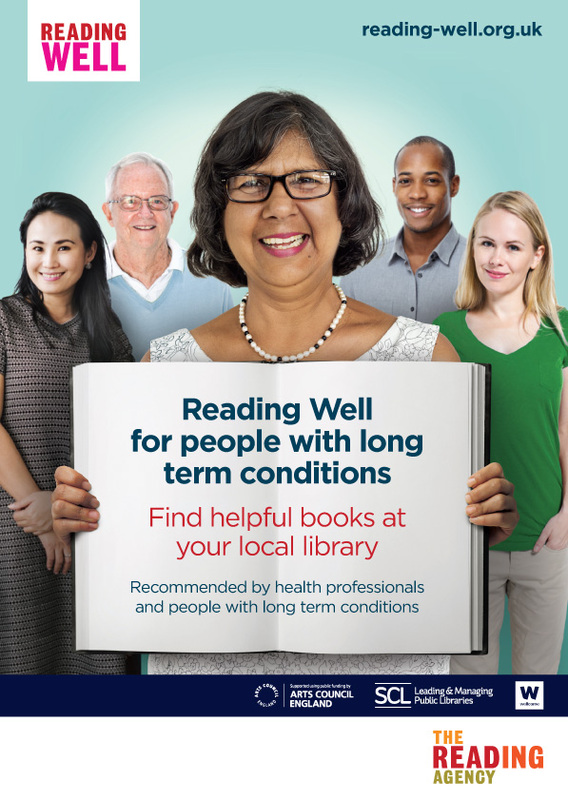 The booklist covers general advice and information about living with a long term condition, common symptoms and titles focused on specific conditions such as arthritis, bowel conditions, diabetes, heart disease and stroke. Over 26 million people in England report to have at least one long term condition and on average they will spend just four hours a year with a health professional and 8,756 hours self-managing. There is enormous need for quality assured health information and advice supporting people to understand and manage the physical and mental symptoms of living with a long term condition. We developed the new book list of 28 titles contains health information, self-help and memoir with expert partners to offer guidance and factual support to those living with illness and their carers. The new scheme is supported by a range of health organisations including Public Health England, The Royal College of General Practitioners and the National Association of Primary Care.